The feist, also called the mountain feist or treeing feist, is a dog popular in the southern region of the United States. If you want to know all about this small, scrappy dog, you’ve come to the right place. We’re here to help you figure out if the feist is the right dog for you. If it is, we’ll also point you to resources for finding a feist puppy. Find more information about this active little dog in this guide. What is a feist dog and where did it come from? Despite the shared named, the feist dog has no linkage to the popular author Raymond Feist and was not named after him. The word “feist” actually comes from the 16th century. It is believed to trace back to the German word vīst or fist, meaning “fart.” This became a scornful word used for dogs in Old English. Feist also relates to the word feisty. This can mean spirited, full of animation, energy or courage. However, it can also mean ill-tempered, troublesome or difficult. You can likely start to guess by the name how these dogs were historically viewed. The feist dog was originally developed in rural areas of the southern region of the United States for hunting vermin and small game. Although these dogs are now commonly companion dogs as well as hunters, they were originally bred simply to achieve a low-maintenance work dog. The feist was the result of crossing hunting hounds with terriers. Feists have never been show dogs and are not registered with the American Kennel Club. They are however, registered with the Continental Kennel Club (CKC) as well as the United Kennel Club (UKC) as of February 2015. These dogs continue to be bred with a focus on hunting skill and companionship. As appearance is not deemed important, it can vary widely throughout the breed. Feist dogs are sometimes called treeing feists because they are often used to tree squirrels, raccoons and other pests. There are several different types of feist dog today due to different bloodlines. For example, the Mullins feist and the Denmark feist are two well-known lines of feist dogs. It’s believed that the feist terrier was used in the development of both the Teddy Roosevelt terrier and rat terrier breeds. The mountain feist is a small dog. The feist dog size is generally between 12 and 30 pounds and 12 and 18 inches tall. They are meant to be a hardy, well-muscled, working dog despite their tiny stature. The body of the feist is slightly longer than tall, with a straight, long tail. Its head is considered broad and blocky, with short- to medium-sized ears. Ears can range widely from straight up to floppy. However, floppy ears are generally undesirable because they are considered more prone to ear infections and injuries. Feist dogs are compact dogs with deep chests and short, smooth coats. Their coat may come in any color or any combination of colors. Is the feist dog hypoallergenic? No dog is completely hypoallergenic, but some are more allergy-friendly than others. Unfortunately, the feist dog is not one of them. The upside is that feist dog shedding tends to be minimal due to their short coat and small stature. These dogs are low maintenance for grooming and care. A weekly brush and the occasional bath should be sufficient if they don’t wind up overly muddy or stinky from hunting. The mountain feist temperament is stable, bold, confident and very alert. It is a strong, brave hunter that works well solo or in packs, although it can be unfriendly with new and unfamiliar dogs. These dogs are naturally pack-oriented animals that will form strong bonds with their family members. Feist dogs are well-known for being vocal, including growls, barks and the distinctive baying associated with hunting breeds. However, they will be completely silent while stalking prey. Feist dogs have a very high prey drive and heavily rely on sight, scent and sound to stalk rodents, small animals and other targets. They are naturally very alert, with high energy levels bred to track game for long periods. Nevertheless, these little dogs can make excellent companions for the right family. Of course, the temperament of any individual dog cannot be guaranteed, particularly with a breed this diverse. Proper socialization and training should always occur to ensure any new dog you bring into your home learns to be a well-mannered part of the family. As the feist dog has been bred for work rather than appearance or show capability, it is a remarkably healthy breed. In fact, the feist dog is likely one of the healthiest purebred dog breeds alive today. It’s one of the few breeds with no known common genetic health concerns. There was one well-documented study of a feist dog developing encephalitis, but it does not appear to be a common problem in the breed. However, this does not mean feist dogs never get ill or have health problems. If you have a dog with floppy ears, it may be prone to wax buildup, ear mites and infections. Also, as these tend to be hunting dogs, they can pick up ticks if you live in a tick-populated area of the country. This can put your dog at risk for associated diseases, such as Lyme disease, without proper prevention. All dogs should always have regular veterinary check-ups as well as the recommended vaccines and shots to keep them happy, healthy and safe. It is also a good idea to consult the Orthopaedic Foundation for Animals (OFA) database to discover if any new hereditary health issues have been reported in association with the feist dog breed. 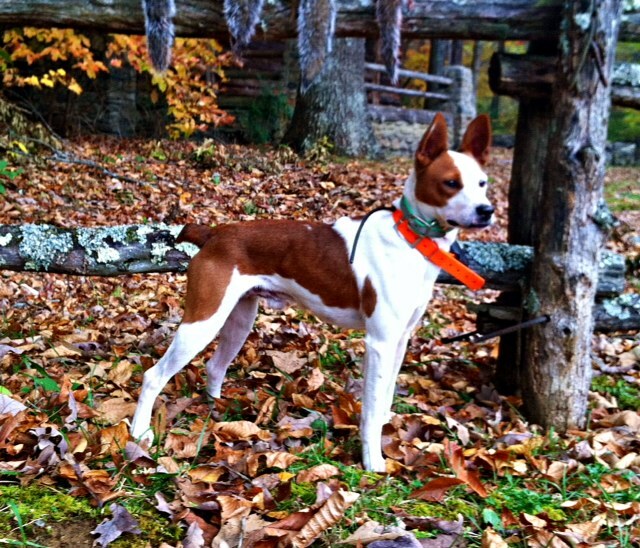 Like most terriers, mountain feist squirrel dogs are very energetic and crave daily outings. They need regular opportunities to exercise their hunting skills. This includes activities that will allow them to use their well-developed senses of sight, smell and hearing. Feist dogs need mental and physical stimulation. They can excel at training events such as agility, fly-ball and weight pulling for this reason. If you don’t plan on using your feist as a hunting dog, you will need to provide it with a long walk or hike on a daily basis. A feist dog should always be walked on a leash to prevent it from taking off. This breed has a strong prey drive that will cause it to take off after small animals or prey if given a chance. Mountain feists are very intelligent animals, although they can be stubborn at times. Therefore, consistent, positive reinforcement is important for successful training. The breed does tend to form strong bonds with its family and shows an eagerness to please. This means training can be made easier if the dog has regular practice with its owner. Without sufficient exercise, these dogs can start to exhibit inappropriate and destructive behavior. The feist squirrel dog is not ideal for everyone. If you are looking for a laid-back pet, this is not the best dog for you. However, if you have a very active family and a love of the outdoors, this could be the perfect pet. Feist dogs are extremely well-loved companions of many small animal hunters because of their tireless and reliable nature. Due to their small size, these dogs can excel in apartments and smaller homes as long as they get sufficient outdoor exercise. Keep in mind that while a fenced-in yard is great, it may not be sufficient exercise. The ideal home for mountain feists will include daily prolonged leashed walks, runs or hikes. As mentioned above, these dogs have been bred to be highly predatory toward small animals. In other words, they are not best suited for a home with small pets or rodents. If properly socialized and trained, they may live in a home with other small animals, but it’s still not recommended to leave them alone in a room together unsupervised. Feist dogs develop strong attachments to their family and will do well in a home where someone is frequently with them. Despite the traditional breeding as hunting animals, their pack nature has resulted in an apparent desire for love and affection. Therefore, they make excellent companion dogs for the right family. They also typically get along well with other dogs and small children once properly socialized. The popularity of feist dogs appears to be growing, but they are still largely found in the southern region of the United States. As the breed is very diverse and includes a number of different strains and names, it can be challenging to find a registered breeding club. You can begin by reaching out to the Continental Kennel Club to find a purebred puppy in your area. Make sure that any breeder you deal with is reputable and willing to answer any questions you may have. You should always ask to see both parent dogs. Also, try to view where the puppy has been raised to ensure it is a safe and clean environment. The price of mountain feist puppies will range based on lineage, breeder, availability and location. Another option is to look into adopting a feist dog. If you are considering adopting a feist rescue dog, you can check out your local adoption agencies or search through petfinder.com. Please note that most rescue dogs are unlikely to come with papers, so there is no guarantee your rescue is a purebred. Always make sure any puppy you bring home is properly trained and socialized, as temperament can never be guaranteed. Feist Breed Profile, Continental Kennel Club Inc.